Growing your own food is becoming more popular as concerns about the environmental impact of supermarket food become more prevalent. As people try to reduce their carbon footprint, growing your own food instead buying it is a good way to do it because you don’t contribute to all of the pollutants from production and shipping of that food, and you also don’t create more plastic waste from the packaging. The only problem is, most people don’t really know how to grow their own food and a lot of people think that you’ve got to be an expert gardener to do it. 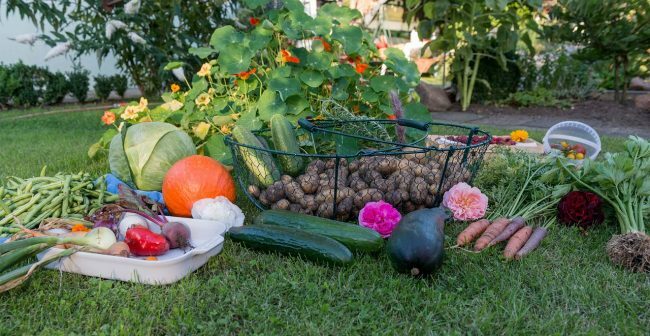 That’s not the case at all, anybody can grow their own food as long as they’ve got a garden to do it in, just follow these simple tips to get you started. Even if you’ve only got a tiny strip of grass in the back garden, you shouldn’t neglect it because you can still plant stuff. It’s not going to be enough to feed you all the time but it’s still something and every small change makes a difference. Window sills are also great places to grow herbs and other small bits and bobs. Growing things vertically is another handy trick when you’ve got a limited amount of space. If you’re growing without a greenhouse you’re limiting yourself to the summer months where certain plants are concerned. There are still things that you can grow during winter but you have a lot more options if you’ve got a greenhouse as well. You can get greenhouse polycarbonate and accessories to build your own custom greenhouse which is the best way to make sure that you’re making the best use of space. A lot of plants like tomatoes and chilli plants will only grow properly in a greenhouse so if you want to get serious about growing your own food, you need one. Although you should get a greenhouse and make use of all the space you have, you should still work up to it slowly. If you buy a load of plants before you know what you’re doing, they’ll probably die. Start out with a couple of simple ones and then gradually increase the amount of plants that you’re growing as you get more confident in your growing abilities. If you go to a garden centre and buy packets of seeds, they’re going to cost you quite a bit. Luckily, there are plenty of much cheaper sources these days. Most supermarkets and home stores have seeds for a lot cheaper than garden centres but in a lot of cases, there is no need to be paying for them at all. Whenever you buy vegetables, save some of the seeds and dry them out, then you can just plant them in the garden and without paying anything. This is a good idea, especially when you’re just starting out because it doesn’t matter if you make mistakes. Growing your own food is a great way to save some money and reduce your impact on the environment so get started today. That’s it Christmas is all finished for another year. I guess like me you have eaten a bit to much turkey and you have already finished off those lovely boxes of chocolates? Which like half of the nation means that January detox, diet and fitness regime is about to kick in. A couple of years ago I was really good throughout January, in February and even March before my fitness kick had worn off and I was no longer out running 3 times a week. This year however I am determined to get fitter, having recently lost some weight before out trip to Lapland. I still want to shift a few more pounds and feel better than I have done for a long time. For me making the right food and drink choices is really important. I am terrible for drinking far to many fizzy drinks and not enough water. I go through fazes of drinking water but it doesn’t last very long so this year I want to try and drink healthier options. Smoothies packed with fruits, healthy natural waters and natural fruit juices. 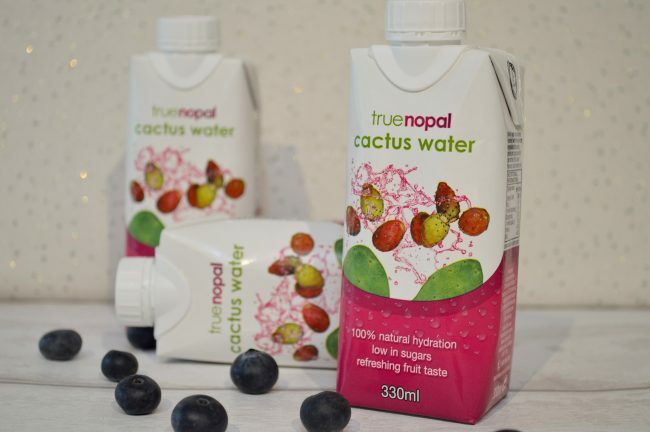 True Nopal Cactus Water is 100% natural and full of flavour with no added sugars, it’s vegan friendly and paced full of antioxidants. It tastes great and myself and the Hubby have enjoyed drinking it. Shaken Udder smoothies are just yummy! With lots of different flavours to chose from. My favourite is strawberries and clotted cream, so full of flavour. 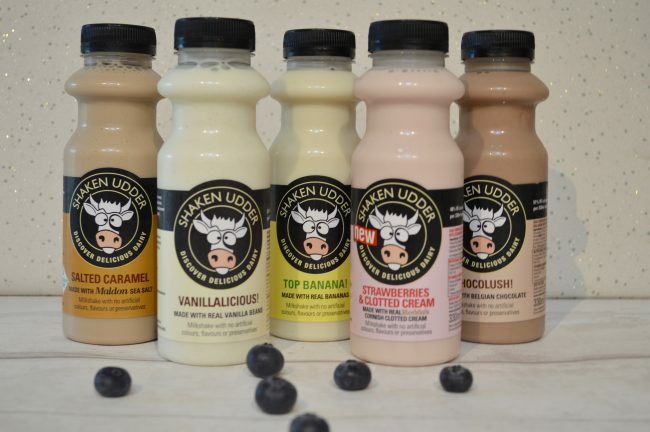 They are a great source of calcium and protein, gluten free and there are no artificial colourings and preservatives. 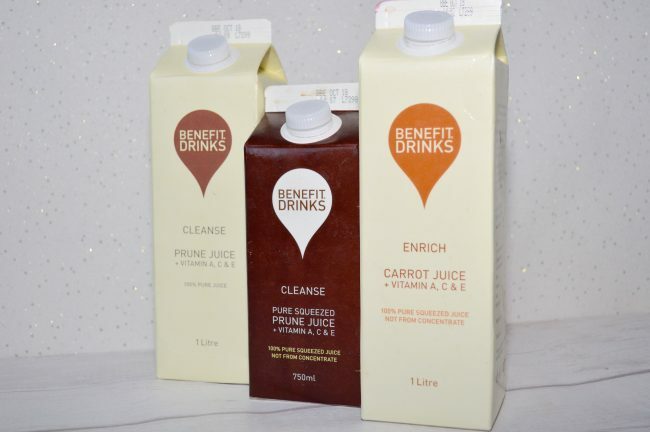 Benefit Drinks are 100% pure squeezed fruit juices. Enrich – Carrot juice, Cleanse – Prune juice, Vitality – Beetroot juice, and a Cleanse – Prune juice not from concentrate. The Carrot is my favourite, but they all tasted great. Packed full of vitamins to help keep your body topped up with goodness. I am useless at taking multi vitamins and supplements which I know I really should be taking. This year it’s part of my new me, taking regular supplements. Hello Day have sent me and ‘Hello Winter’ box packed full of supplements to help me start on my quest. A box of Immunity support to help with the function of my immune system. A box of Bioharmony balance to help balance the gut functions. Beauty boost. To help with the conditions of my nails, hair and skin. There is one final box of vitality boost to help with the reduction of tiredness and fatigue which is perfect for the winter months. Just like most people out there we want to be that bit fitter, there are so many ways you are able to do this. You don’t have to take on the big monthly costs of joining a gym, you could walk more, get outside running or even take up yoga or work outs in your own home. Amazon basics offer a great range of fabulous fitness items at really reasonable prices. 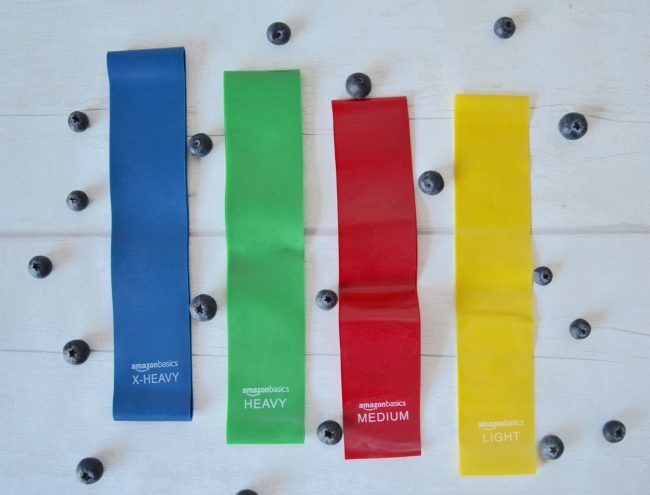 I really love these exercise loop bands, great for resistance training at home or in the gym. After you have spent time looking after your body, eating right, drinking right and getting in some exceise, its time to relax. Keep your body ready for that last minute swim or gym session, or even just to feel good. 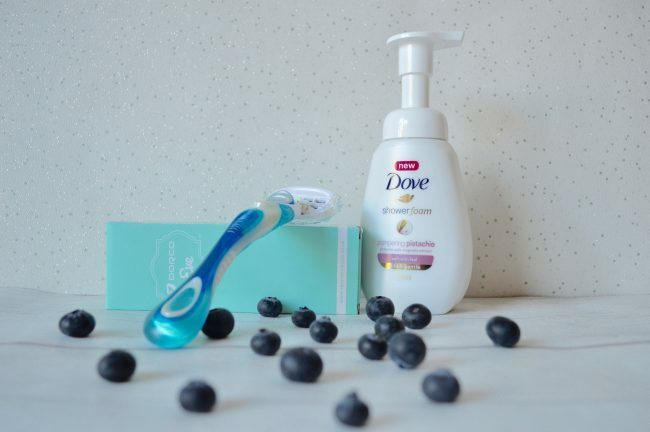 Try this fabulous Dove shower foam, its perfect for taking to the gym or just using at home. It’s so silky and soft and smells amazing, plus it helps to moisturise your skin. Or this fabulous razor subscription box so you never run out. I have been using my Dorco razor for a couple of months now and I love it. It just glides across my legs, without even worrying I might miss a bit on those difficult ankles or around the knees. 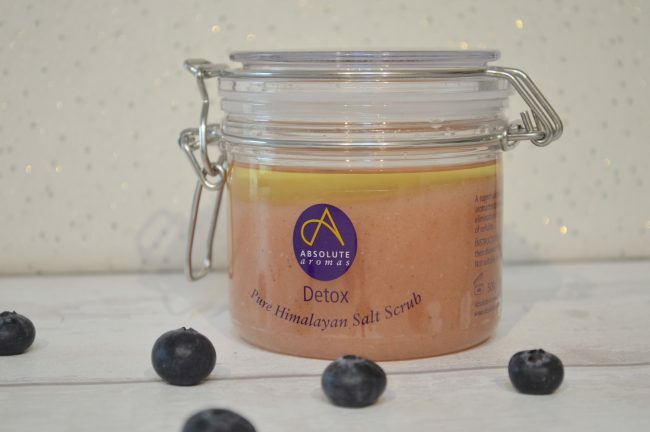 Then after a long day run a nice hot bath and relax with a detox scrub from Absolute aromas. Their Himalayan salt scrub is great for buffing off the dead skin and helping to rejuvenate your skin, leaving you feeling silky smooth and relaxed. So that’s my January sorted, making you I take some extra time to look after myself to help get a bit fitter and fingers crossed shift a few more pounds ready for the Spring and Summer that is fast approaching. 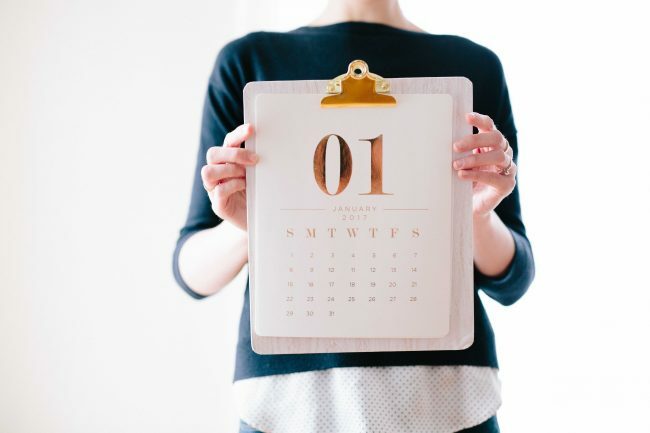 Have you thought about adding some training into this year? Not just training at the gym. I am really thinking about doing some course this year. NLP Training courses offer a range of different ones, something to help me develop and learn more about myself and whys to help others. Whatever your new year quest is, I wish you lots of luck. So it’s nearly Christmas and after all of the fun to choosing the perfect gifts for people, my thoughts turn to Christmas dinner. For the last 3 years we have had people over to us for Christmas dinner. It’s just easier to enjoy the morning at home drinking bucks fizz while the children open their presents, it then means we don’t have to drag them away from all of their new toys to visit the rest of the family. This year we are catering for 5 adults and 2 children. We will have my sister, her partner and little one coming around later in the day for tea, plus I guess we might have my brother in law and his partner who will just turn up if they haven’t had to much to drink during the day. I always cook a big turkey crown. It’s become tradition that I do a massive turkey curry on the 27th so I make sure that we have enough for that and also a few turkey sandwiches, which I love. Growing up we always had 3 courses for Christmas dinner, normally avocado and prawns for starter followed by the traditional turkey dinner with all the trimmings and then a pudding of some kind. A couple of years ago we decided not to do a starter mainly because we just do not have the space for all of the roast dinner and the puddings. I thought I would share with you my menu for this years Christmas dinner. Roast turkey crown topped with bacon and a roast beef joint. Roast Potatoes cooked in goose fat. Roasted carrots, onions, parsnips and garlic. Brussel sprouts and bacon. Broccoli, leaks, cauliflower cheese and red cabbage in a port sauce. Pigs in blankets, stuffing and Yorkshire puddings. Mash potatoes, are being added this year although I don’t normally do them, I really fancied adding them to the menu. On the table will be, gravy, bread sauce, horseradish for the beef and cranberry sauce. As I love a chocolate pudding there is always something chocolatey, something fruity and then of course the Christmas pudding which I to be honest don’t like but my Hubby loves it. Cream and brandy sauce to go with it all. 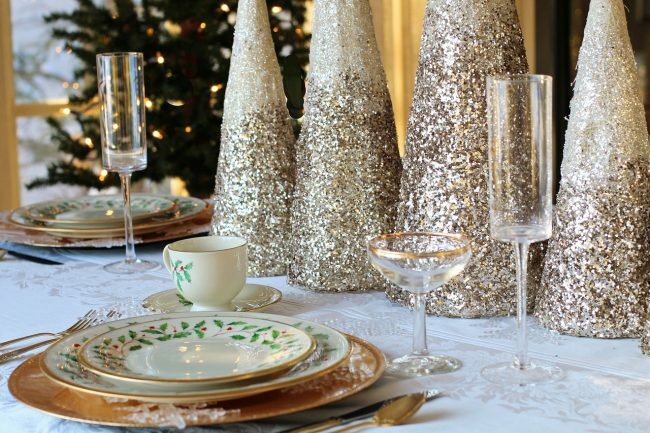 I love a glass of champagne so we have a couple of bottles chilled for the table, along with white wine, red wine for my Dad then then children will have sparkling fruit juice or pop (as a treat). As the day carries on my Hubby will generally drink beer before getting the whiskey out in the evening. As a child my Mum always used to prep all of the food on Christmas eve, we used to help peel the vegetables and leave it out for the reindeers when they stop by with Santa. I now do the same with my children. For the last few years my sister has been on hand to help me on christmas eve, this year however she is a Mummy for the first time and will be spending Christmas Eve making their own family traditions. So my sous chief will be my best friend who is going to help me drink a couple of bottles of prosecco as we prep the veg. What do you eat for Christmas dinner? 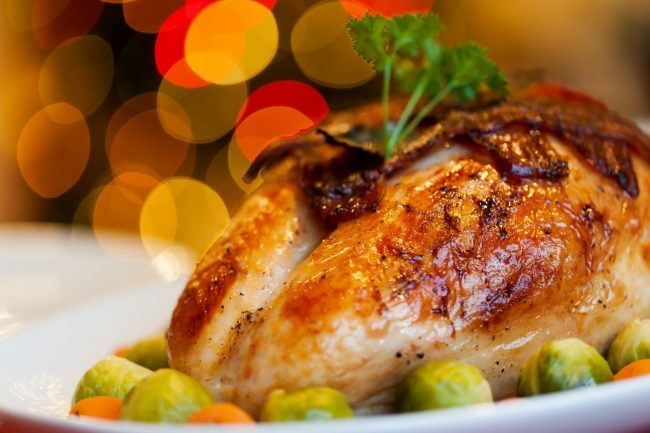 Do you have the traditional turkey like me or go for something else? Whatever you are doing for Christmas I hope you have a wonderful time, make amazing memories and enjoy your self.